DAVID LE/Staff photo. 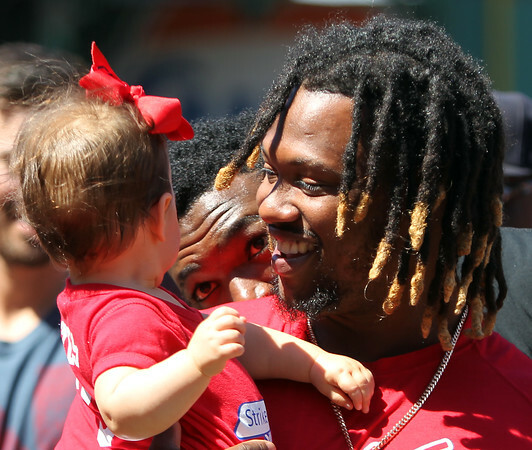 Boston Red Sox left fielder Hanley Ramirez, right, smiles at Lucy Frates, daughter of Beverly native and Ice Bucket Challenge founder Pete Frates, as designated hitter David Ortiz, center, peeks around Ramirez's shoulder. 7/31/15.